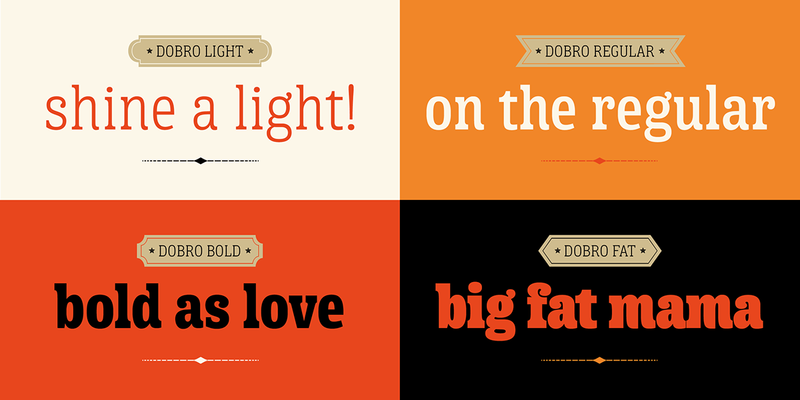 We are very proud to announce the release of Dobro, a serious, but also playful, new Sudtipos font family. 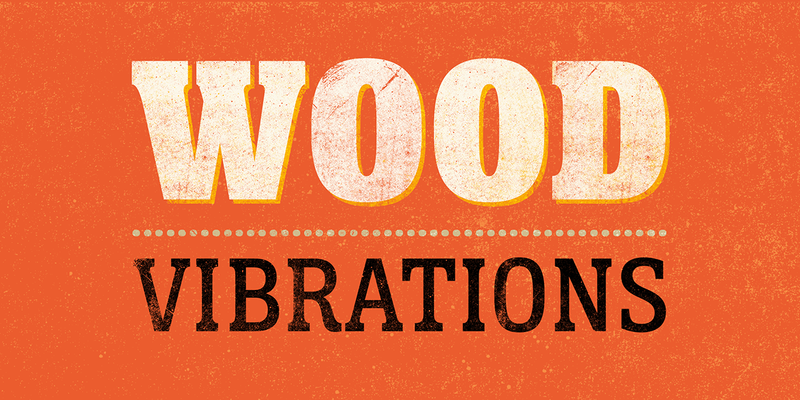 Strings vibrating against wood. 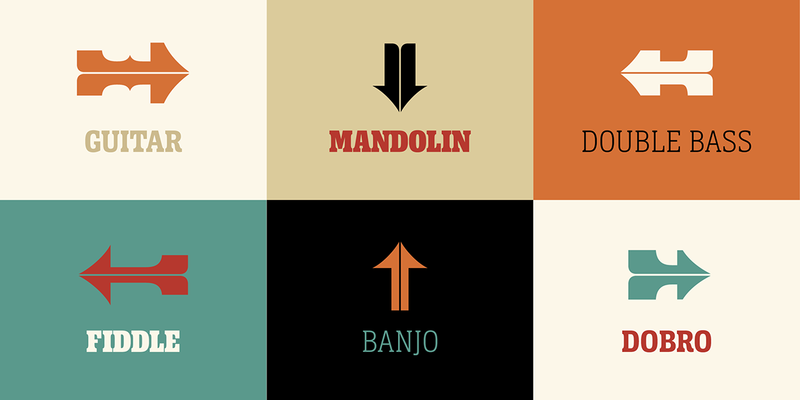 Counterpoints. 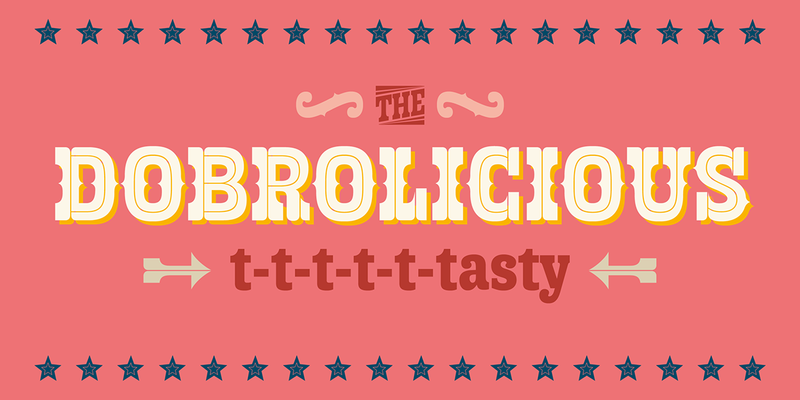 Strong beated rhythms and smooth flexible melodies. 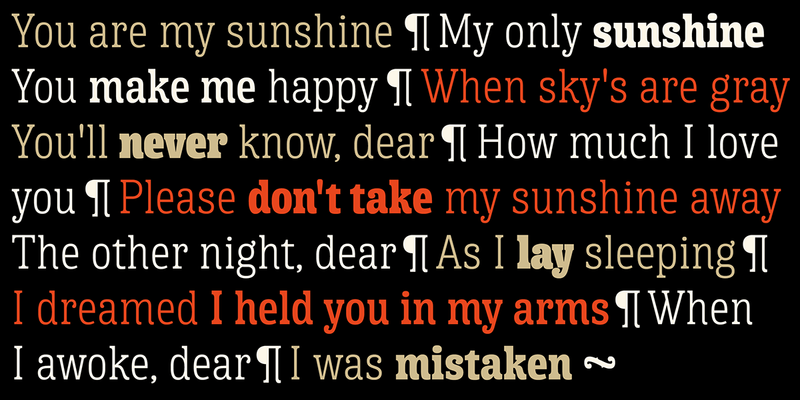 Repetitive sequences and syncopations. 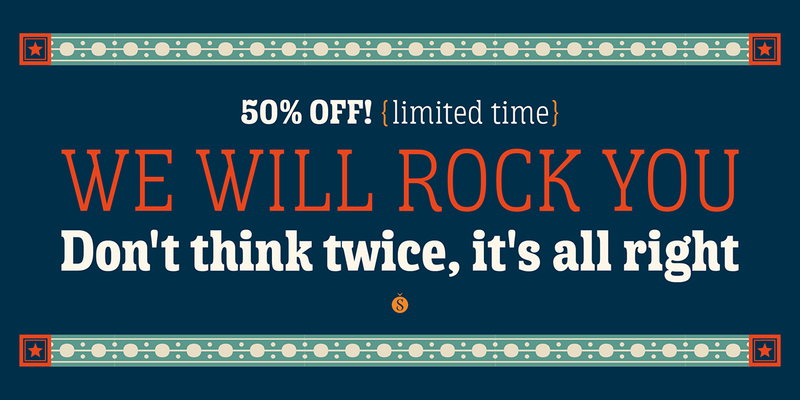 Sweeps and slides. 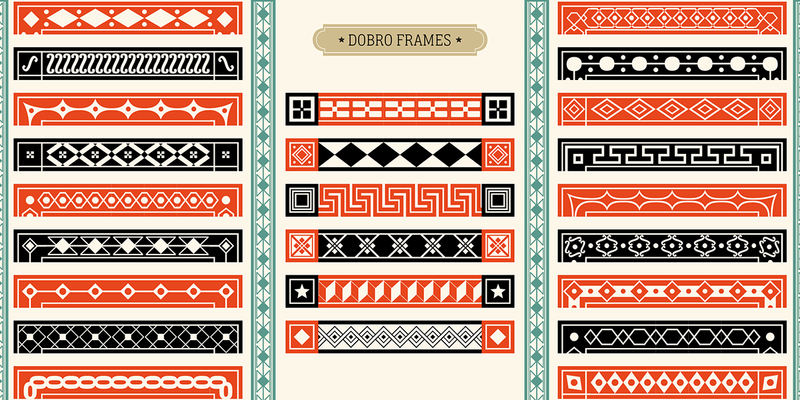 Folk and tradition. 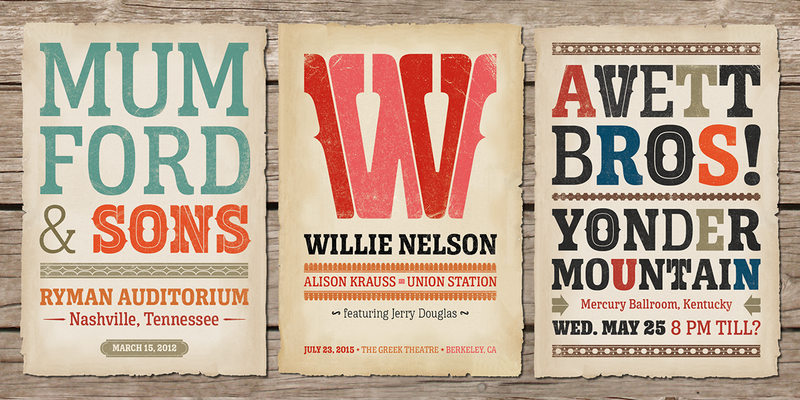 Inspired by the spirit of bluegrass music and the aesthetic of its wood type gig posters,this typeface explores certain concepts of rhythm and seeks to translate a piece of this universe into writing. 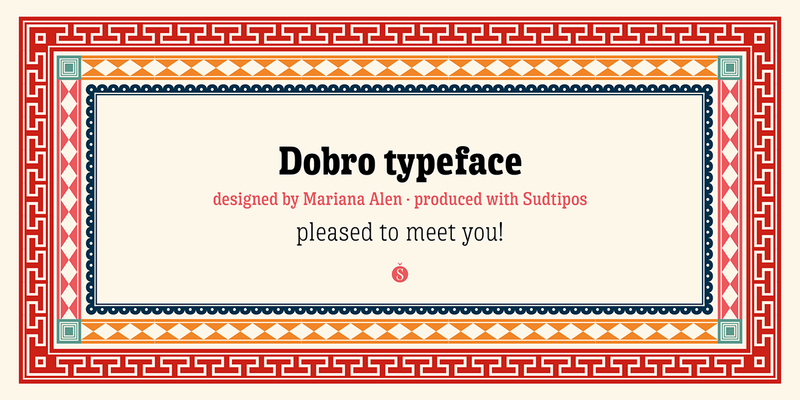 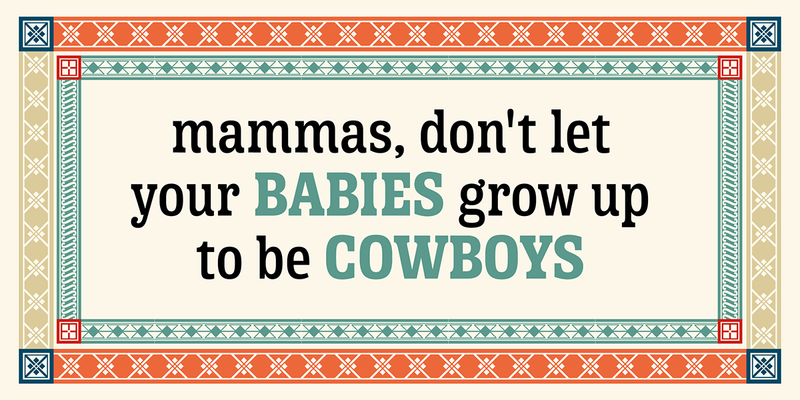 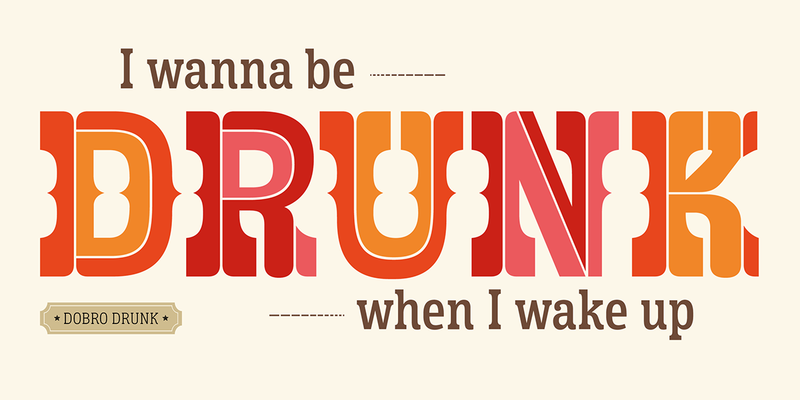 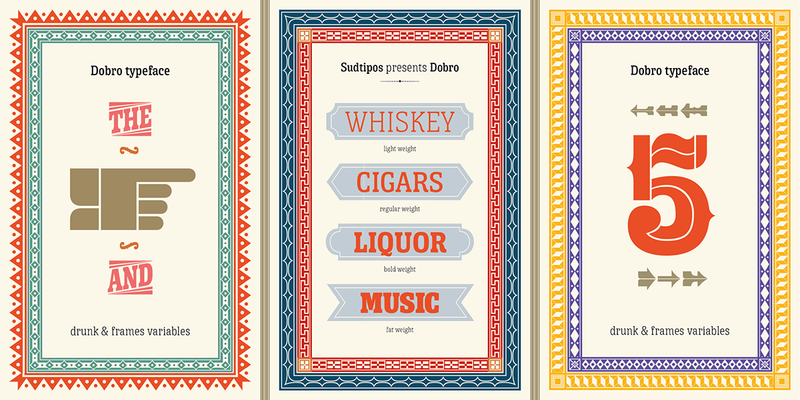 Meant to be used in large sizes, Dobro is a 6-font set designed to work nicely together. 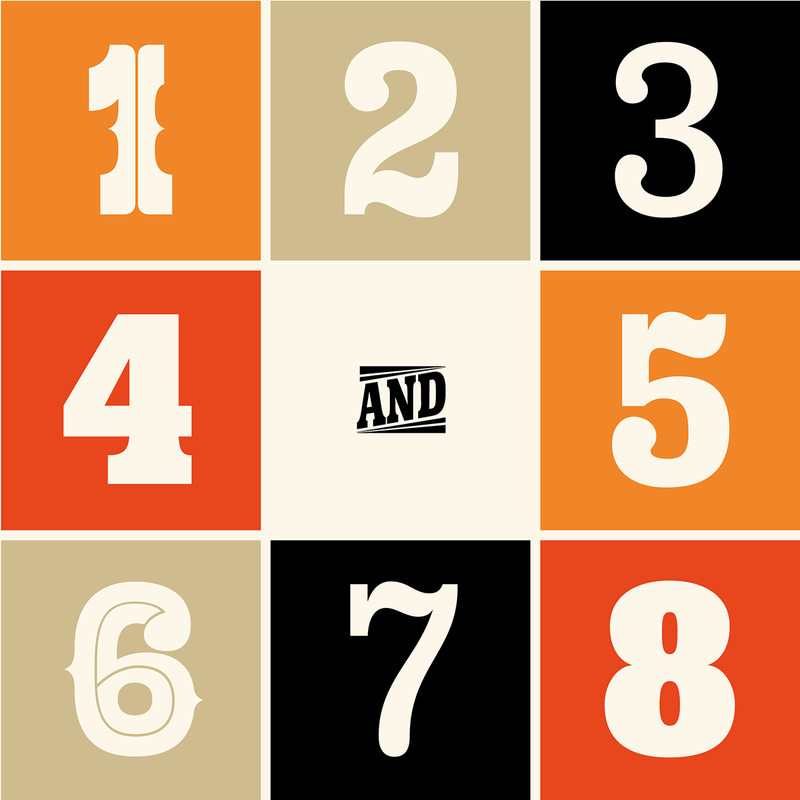 It comes in 4 different weights, one color font with miscellaneous and connectors, plus frames and borders that pay tribute to vintage wood type catalogues. 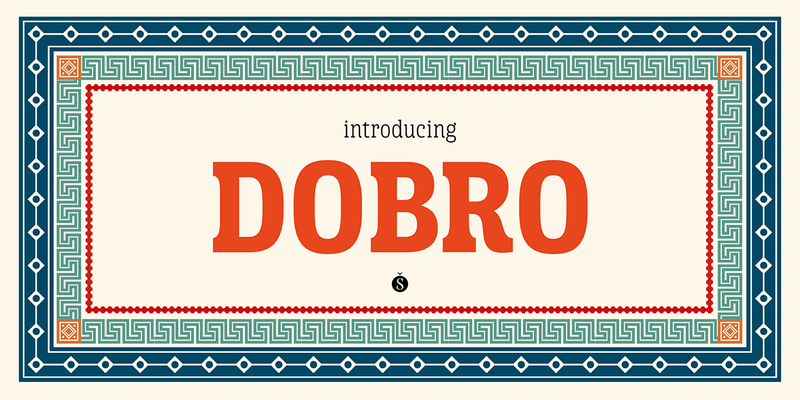 As an old company motto used to say: "Dobro means good in any language!" 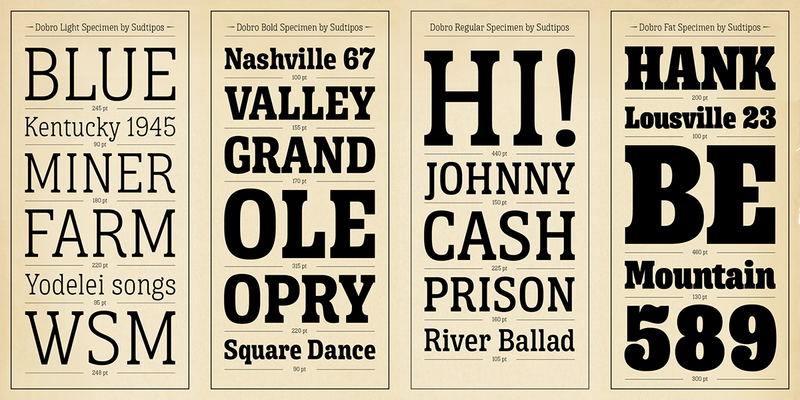 For a very limited time you can get the Dobro family with a special introductory discount. 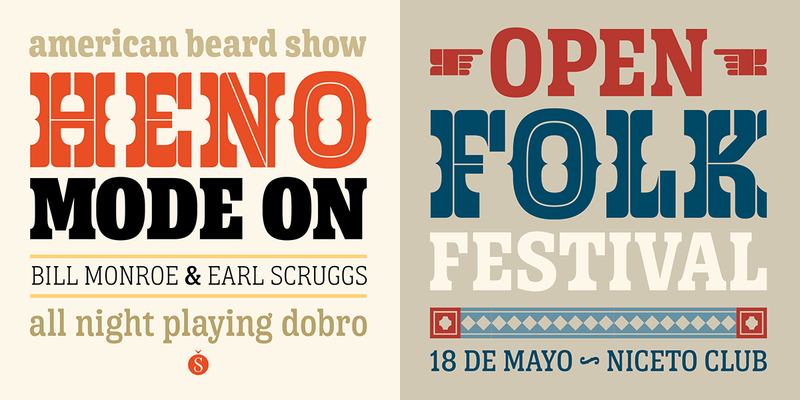 Inspired by the spirit of bluegrass music and the aesthetic of its wood type gig posters, this typeface explores certain concepts of rhythm and seeks to translate a piece of this universe into writing.